KinderFun is an hour gymnastics class for 4 – 5 year olds enrolled at 4 year old Kinder. An introduction to gymnastics, this class develops confidence, body awareness and basic body shapes and promotes listening, class discipline and safety skills. Gymnasts will work through all apparatus of artistic gymnastics within their class including floor, vault, bars, rings, p-bars and beam. Please note: Child must be enrolled into 4 year old Kinder to participate in class. GymBasics is an hour gymnastics class design for children aged 5 – 6 years old attending school. Classes cater for children from a very beginner level with no experience and children continuing their progression from the KinderFun program. Focusing on the skills and activities that are essential for future progression, while increasing each child's coordination, balance, and strength and body awareness. New gymnasts between the ages of 5 and 6 will commence their gymnastics journey in GymBasics. Gymnasts will work through all apparatus of artistic gymnastics within their class including floor, vault, bars, rings, p-bars and beam. GymFun is an hour gymnastics class design for children aged 7 -8 years old attending school. 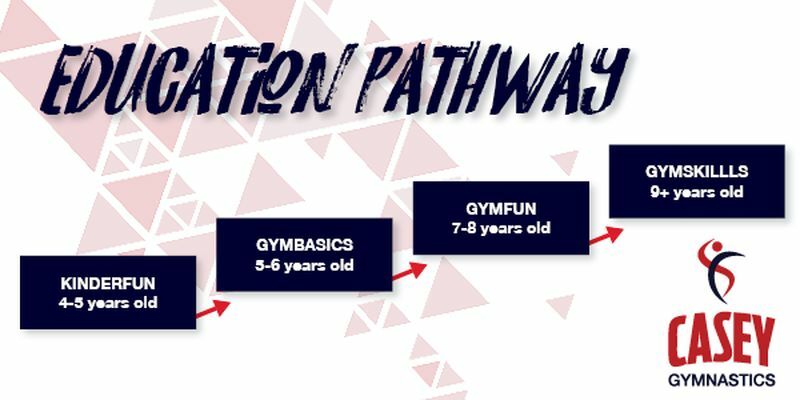 Classes cater for children from a very beginner level with no experience and children continuing their progression from the GymBasics Program. 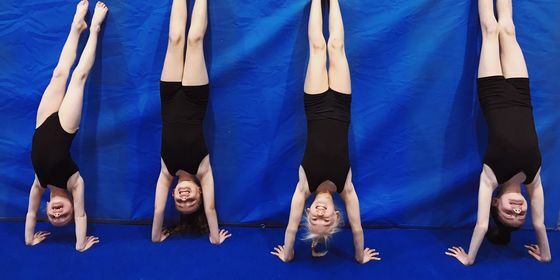 Focusing on the skills and activities that are supportive of more complex gymnastics skills, while increasing each child's coordination, balance, and strength and body awareness. New gymnasts between the ages of 7 and 8 will commence their gymnastics journey in GymFun. Gymnasts will work through all apparatus of artistic gymnastics within their class including floor, vault, bars, rings, p-bars and beam. GymSkills is an hour gymnastics class designed for children aged 9+ years attending school. Classes cater for children from a very beginner level with no experience and children continuing their progression from the GymFun Program. Focusing on the skills and activities that encompass all aspects of gymnastics including rotation, balance, swings, jumps and landings. There is also a focus on body control through the progressions of the handstand. New gymnasts between the ages of 9 and 11 will commence their gymnastics journey in GymSkills. Gymnasts will work through all apparatus of artistic gymnastics within their class including floor, vault, bars, rings, p-bars and beam.